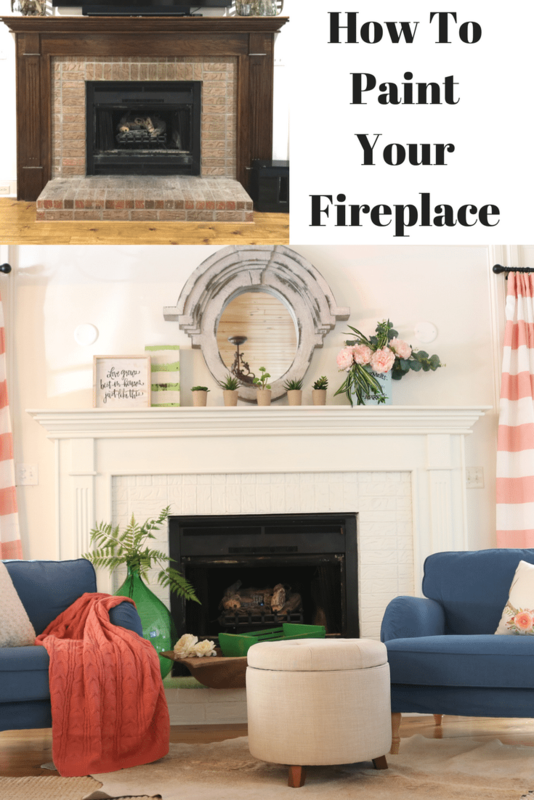 How to paint your fireplace and mantel or mantle. I finally did it. I have a list as long as my arm but I checked another item off! 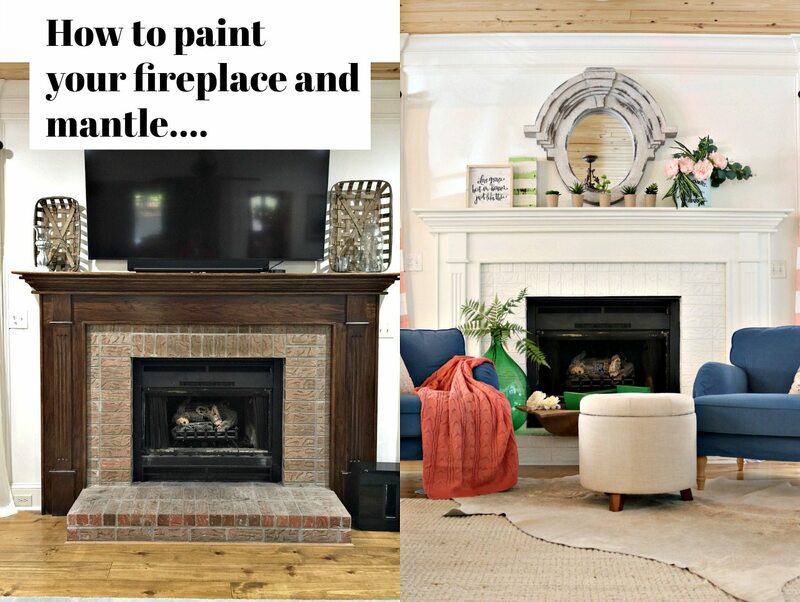 Let me show you how I painted my fireplace and mantel while my husband was out of town. I was just sitting around bored on a Saturday night and now I can’t even remember where he was. He didn’t care and he knew that I was going to paint it, just didn’t know when. I rumble off tons of to-do items and this is just another one of those he has heard about since we moved! 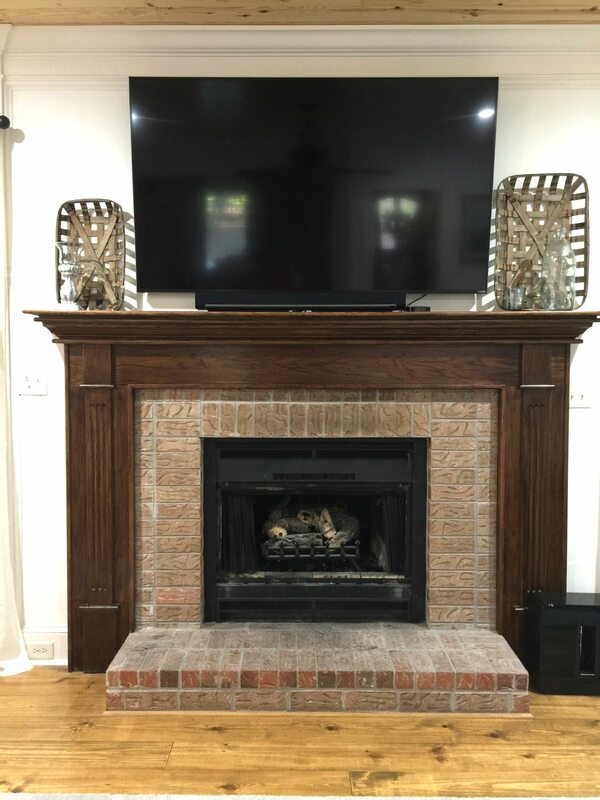 Just your ordinary stained surround and brick fireplace, it’s funny to look back at these photos, I didn’t realize how dark it really was making the room. Like a dark hole. Yep, I’m so happy with the way it looks now! Clean – Vacuum the brick to remove any debris. Use a degreaser to clean brick and wood. Let it dry completely. 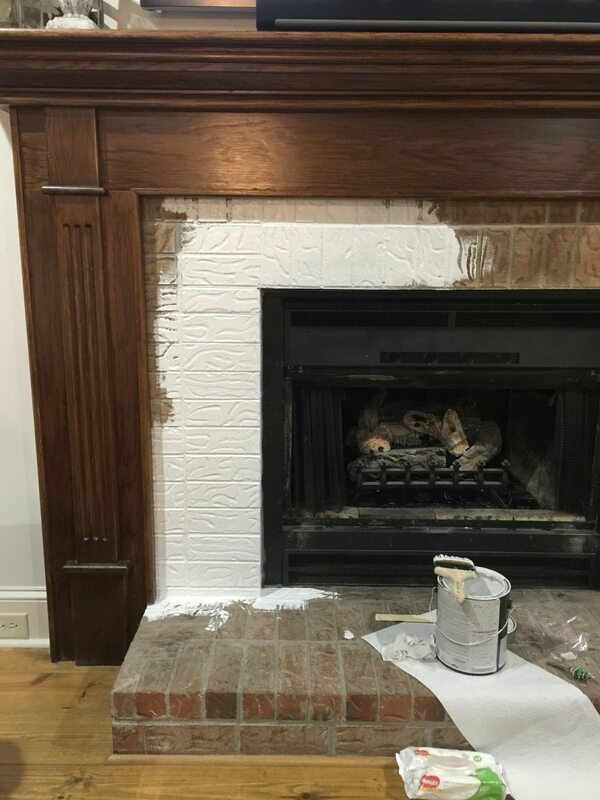 Prime – I used the same primer that I used to paint the brick backsplash. I let the primer dry overnight on the brick and wood. Apply two coats of the paint of your choice. I used Sherwin Williams Dover White in a satin finish. My original idea was to just paint the brick. 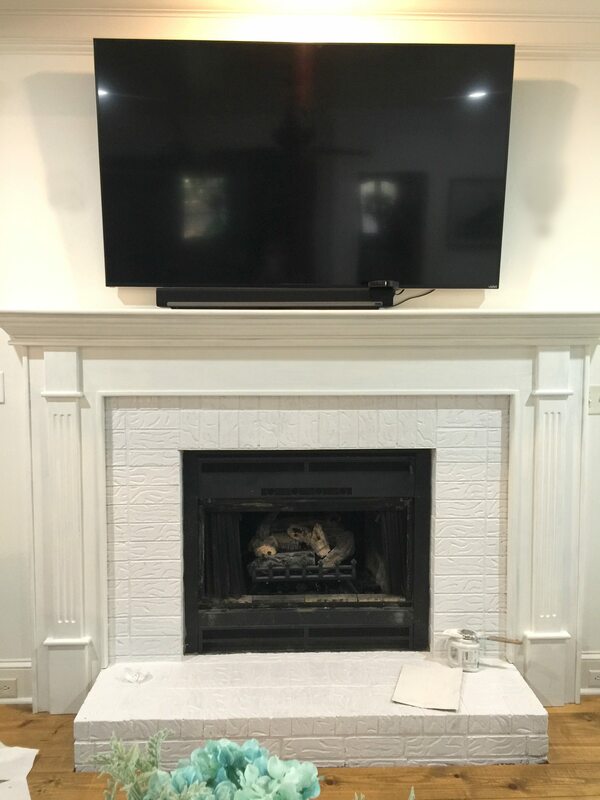 After I primed it, I didn’t like the contrast of the stained wood so I primed the surround and mantel, just I did the brick. The Valspar stainblocking, bonding, primer and sealer worked great. I have used it on several projects. It’s been fours months and the paint on the brick and wood look just like it did the day I painted it. It was at the point that I realized I wanted to paint it all! 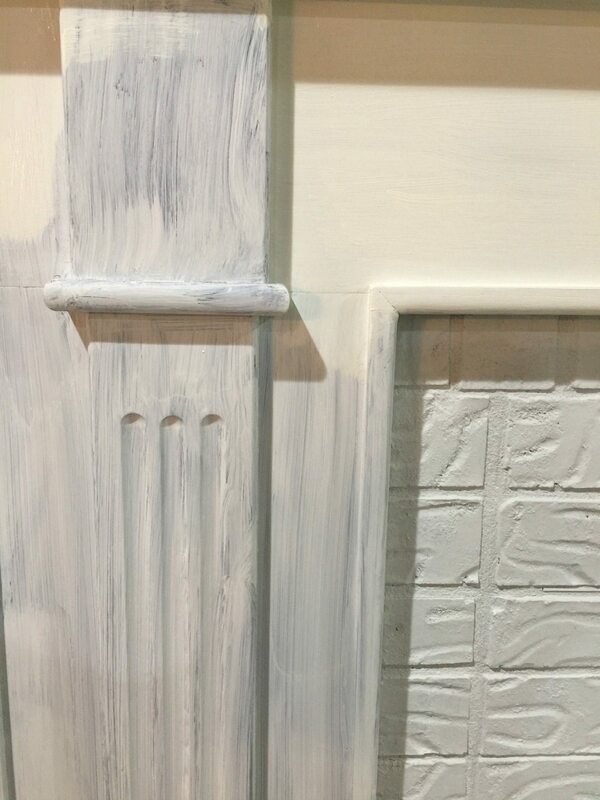 One coat of primer – two coats of paint. 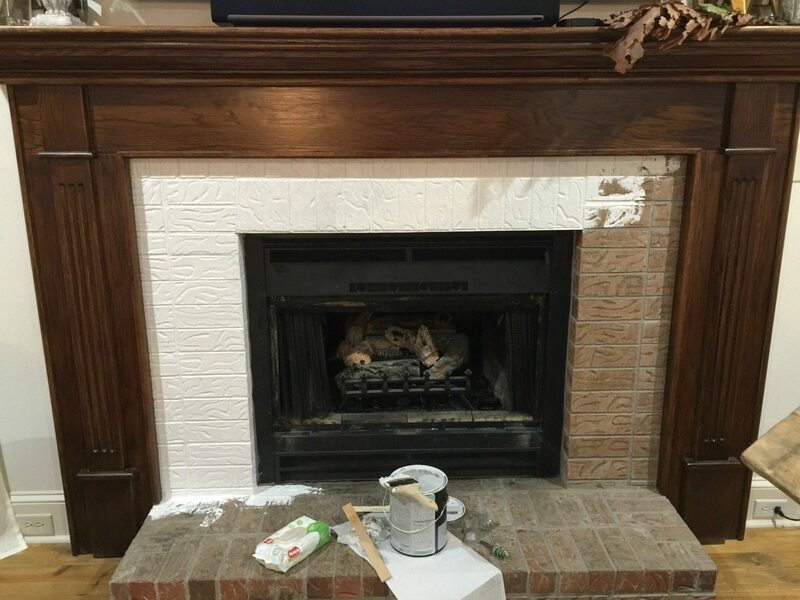 I removed the trim pieces around the hearth and painted those also. The room feels so much cleaner and lighter, of course it’s lighter but you know what I mean! Oh yeah, I had the television moved to another wall! It’s one of things I’m constantly asking myself, why did I wait so long!! Thanks!! I actually bought it from an antique store while on vacation in Florida. I haven’t seen them in any stores. I hope you find one! I like the white much better. And, I’m a big fan of Sherwin Williams paints. The white makes the whole room look brighter and fresher. That’s a win-win! Great job. Where did you get the striped curtains? 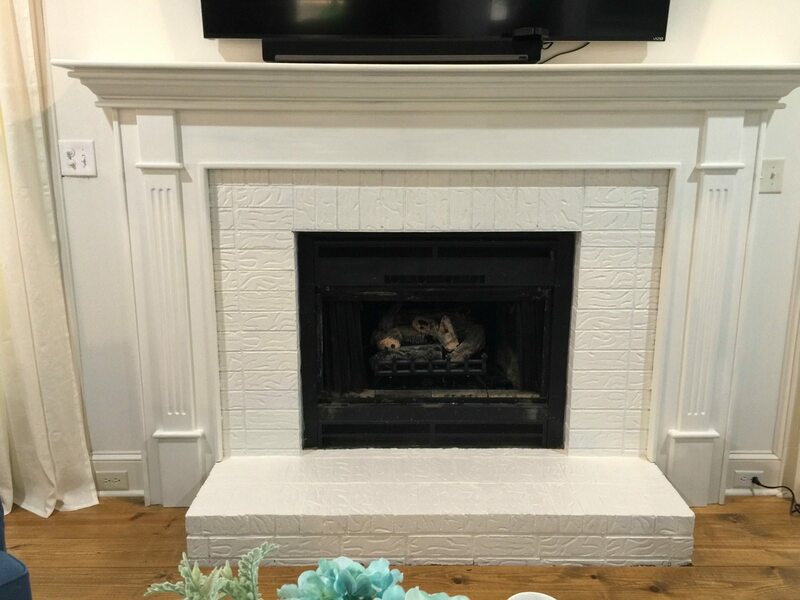 The fireplace looks great; so bright and pretty. I especially love your striped curtains and would like to have some of those in my home too! I like how the white brightens up the space. But then I am drawn to painted surfaces. It looks really good. What an amazing transformation!! It’s so fresh and clean! I LOVE it! So pretty! I”m not normally in a huge hurry to take down my Christmas decor, but I got it put up earlier this year, and then left it up into January because we had a late family Christmas at my house Jan. 7, so I was actually very ready to get it down for a change. I did a simple mantle with my Magnolia Home lamb”s ear wreath and garland, candles, old books, and ceramic birds and wooden bird houses. 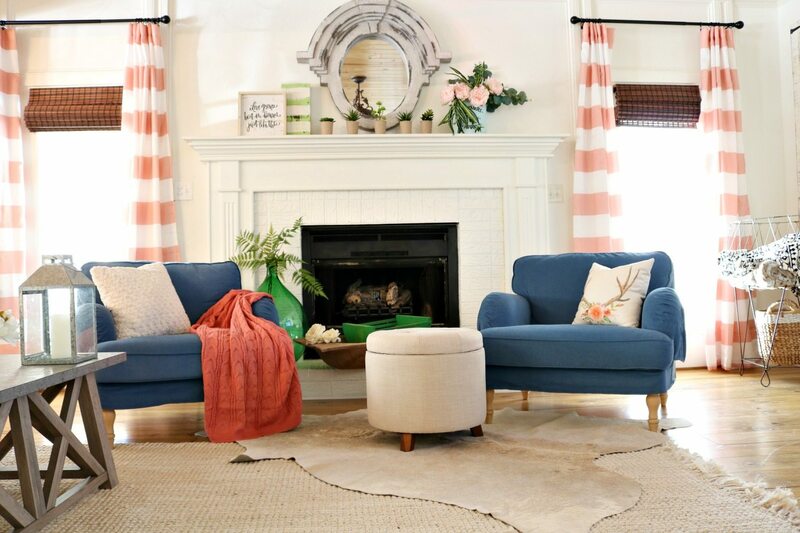 I decorate with more color but I love your blog and seeing all your projects. 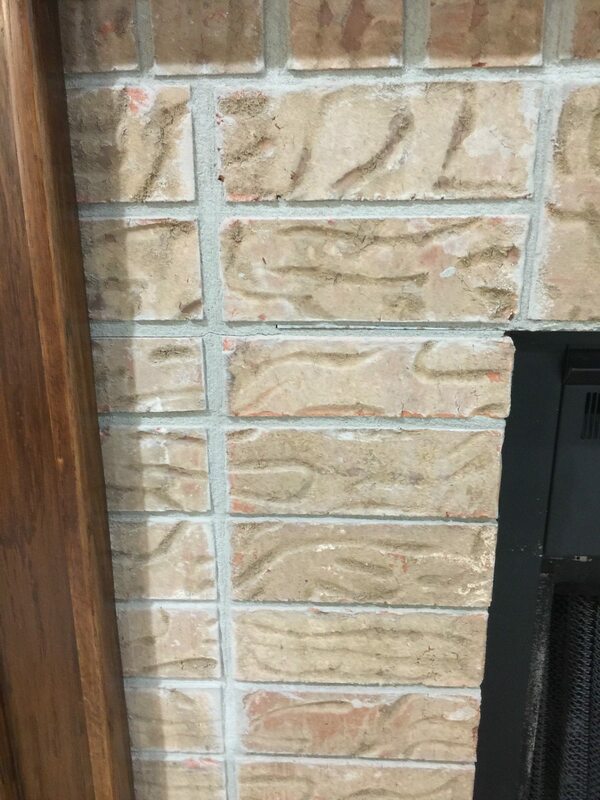 My floor to ceilings brick fireplace is kind of a dark taupe/mauve/gray look right now, and I am wanting to try a lighter paint wash on it in spring, more of a cream/warm tan look, inspired by the natural stone on the hirstorical homes in we saw on our trip to Philadelphia, wish me luck! Love your laundry room makeover as well. I”m all about clearance sales and thrift shopping, such a great idea to paint the lanterns! You can find so many great metal decor pieces out there that can be updated to fit your style with just a few dollars worth of paint. fabulous, it looks like a completely new room! great job!